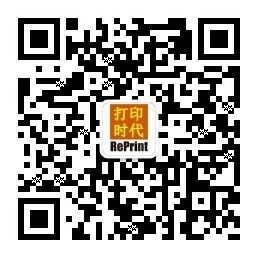 "ReChina Top50 Suppliers Program" is organized by ReChina Expo and RePrint Magazine in the printers and consumables industry. The top 50 suppliers will be elected from hundreds of candidates from China and other countries and districts. ReChina Top50 Suppliers Program is a long term program which will be open continuously on line. Tens of thousands of worldwide professionals are expected to join the program each year, voting or adding likes for their favorites. A yearly list of winners will be concluded during each session of ReChina Expo. Top 50 suppliers shall be those supplying good quality products at competitive price, the most reliable and the easiest to cooperate with. The buyers, distributors, end users and all the industry people involved will surely know who are the best and make the right choice. Candidates will be selected from qualified exhibitors of ReChina Expo. Other excellent companies in the industry can also apply to be the candidates. Supervision Committee will be formed to fairly conduct the program. The supervision committee mainly consists of international buyers. ReChina Top50 Suppliers Program is free of charge for all the candidates and the winners. The program will help buyers and inspire the suppliers as well. The program is aimed at healthy development of the industry.